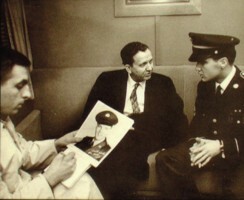 Bill Burk passes away: It is with deep sadness that EIN has to report the passing of Elvis World's "007", Bill E. Burk. To say Bill was highly respected throughout the Elvis world is a vast understatement. 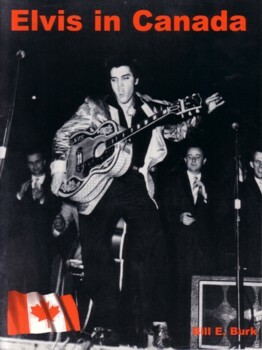 Bill was one of the greatest promoters of the Elvis legacy the world has known, and through his many books and long running magazine, Elvis World, was renowned for disspelling many of the myths which had grown up around Elvis. Bill's legacy is indeed a great one. EIN expresses its very sincere condolences to Bill's wife, Connie, and his family. It is with such great and abiding sadness that I am telling you that Bill passed away peacefully today at Baptist Hospital at 10:10 am, surrounded by his 3 children -- Gary, Jennifer, Randy -- and me. He had irreversable brain damage from cardiac arrest suffered Monday afternoon, and it was his living will that he not be kept alive artificially in a situation like that. It is terribly painful for those of us left behind, who will miss him so dearly, but Bill is now in a much better place. Services will be at Memphis Funeral Home, Poplar Avenue. Visitation on Sunday, April 27, 3-6 pm. Service Monday, April 28, 1 pm. Burial at West Tennessee Veterans Cemetery at a later date next week. We ask that any memorials be donated to St. Jude Children's Research Hospital, www.stjude.org, in Bill's name. Thank you for all your prayers and support throughout Bill's illness. We both truly appreciated it! First, thank you for all of your warm comments to me and Bill's children over the past two days -- they have really warmed our hearts! Thank you EIN for putting all the tributes online. To my knowledge you are the only elvis news site to do this, and I thank you. I am still crushed by this news, and will be attending the Services this coming Monday. Carla: Rest in peace Bill. Keith E: Bill's death is a tragic loss. May he rest in peace. Wendy (AR): So sad to read of Bill Burk's passing. At least we know he's gone to a higher place and will once again be able to pen his mighty interviews with The King. Steve Thomas (UK): How sad that we've lost another great Elvis friend. Jenny L: My heart sank when I heard the news. Bill was a unique individual and he will be missed terribly. Tony (Herts): I have only been to Elvis Week once and one of the highlights was meeting gentleman Bill E. Burk. His pasing is a huge loss! Brian: It is hard to imagine the Elvis world without Bill Burk. RIP Bill. Cy Wewzow (South Australia): Just read about Bill Burk. How sad to see another Elvis identity passes away. He seemed to be only one of a select few who spoke honestly about Elvis and wasn’t out to feather his own nest. His publication was top notch as well. He’ll certainly be missed. Geraldine (UK): This is a very, very sad day in the Elvis world. Bill's exhaustive research and writings on Elvis will be truly missed. Sandra Rutledge (England): Bill Burk was respected around the world for his honesty and knowledge of Elvis. Please tell Connie I am thinking of her. Trevor: I had the privilege of meeting Bill during Elvis Week a few years ago. He was a one in a million. RIP Bill. We'll miss you. Tony A: The Elvis world without Bill E. Burk will not be the same. Bill's passion for Elvis and his ability to tell it like it is were a rare commodity in the age of big stories and people out to make a quick buck off Elvis'' legacy. My sincere condolences to Bill's family. 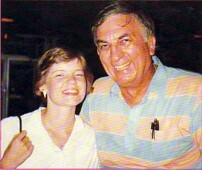 Cathy Johnson: Rest in peace Bill. You will be remembered! Suzy: When I heard the news I couldn't believe it. I bought Bill's Candle In The Wind book last year and started reading it only last week. Bill will be missed. Grace Andrews: God bless Bill. 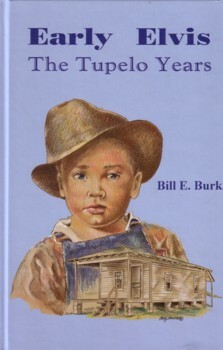 Jen Cooper (NZ): I remember buying an autographed copy of The Tupelo Years in Memphis in 2002. Bill was a larger than life person and I will always remember the few minutes I had talking to him about Elvis and the future of Graceland. Frank Peters: Bill was a rarity in the Elvis world. An honest, decent guy. Stephanie G: Bill, a big THANKYOU from all true Elvis fans!!! Peter Timmins: The world is a lesser place without Bill Burk. Bob & Vera Smith: We had the lovely pleasure of meeting Bill when we visited Memphis several years ago. We found him to be one of the most honest people about Elvis we had ever met. His stories held us in awe and gave us a deeper appreciation of Elvis was. Thank you Bill. Tracey (London): Many tears will be shed tonight and many memories relived with a smile on our faces. Bill, you'll be missed. Jeff Irons: Bill Burk's Early Elvis trilogy are among my most prized Elvis possessions. Thanks Bill for giving us the real story on Elvis not the dribble many other author's rehash or make up. Judy: I was shocked to read of Bill's death. We have all lost a very dear friend! TG: Bill Burk's books were always the best. RIP Bill. Meg C (Baltimore): I am so sorry to hear of Bill's passing, we have lost a good soul, and and true Elvis fan. My heart goes out to his family & close friends. James K: My heartfelt condolences to Connie and Bill's children. He brought so much good in the name of Elvis. Cindy (Ohio): Bill be sorely missed. He was a breath of fresh air and had a wicked sense of humor. Brian & Sylvia S: What a terrible shock. I had always believed Bill was invincible. Our thopughts and prayers are with Connie tonight. Claudia (Denmark): we are very saddened by the passing of Bill. He was my guest in 2005. I would love to write my condolences to Connie. Have you any address for the post? I only kept in touch with Bill over E-Mail. Your help will be much appreciated. TLC.